We recommend checking out our discussion threads on the Intel NUC5i5RYH Mini PC NUC Kit BOXNUC5I5RYH, which address similar problems with connecting and setting up Desktop Computers Intel. The user manual for the Intel NUC5i5RYH Mini PC NUC Kit BOXNUC5I5RYH provides necessary instructions for the proper use of the product Computers & Solutions - Desktops & Workstations - Desktop Computers. The NUC5i5RYH Mini PC NUC Kit from Intel is a compact system that fits in the palm of your hand and packs the performance of a Broadwell dual-core Intel Core i5-5250U processor with integrated Intel HD Graphics 6000. It features two SODIMM slots that can accept up to 16GB of DDR3L 1333/1600 MHz of RAM. For long-term storage, it has room to hold a 2.5" hard drive or SSD as well as an mSATA drive connected to the M.2 slot. Once a storage drive is added, you may install an optional operating system such as Windows and Linux. It also features a mini-HDMI and a mini DisplayPort to deliver high-definition content to your monitor or TV. With Bluetooth 4.0, you can wirelessly pair speakers or a mouse with this NUC. In addition to outputting video, the system features an infrared sensor that you can use an optional remote to control it right from your couch. If you own a Intel desktop computers and have a user manual in electronic form, you can upload it to this website using the link on the right side of the screen. 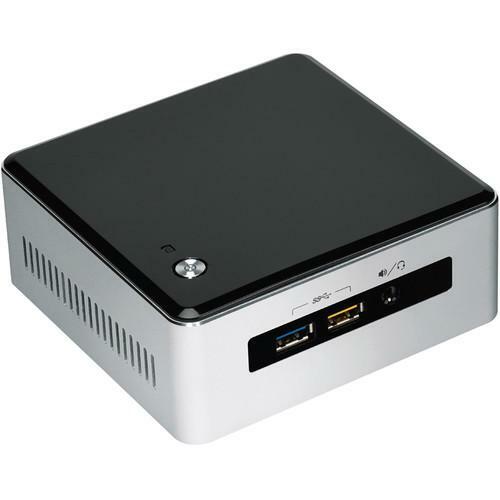 The user manual for the Intel NUC5i5RYH Mini PC NUC Kit BOXNUC5I5RYH can be downloaded in .pdf format if it did not come with your new desktop computers, although the seller is required to supply one. It is also quite common that customers throw out the user manual with the box, or put the CD away somewhere and then can’t find it. 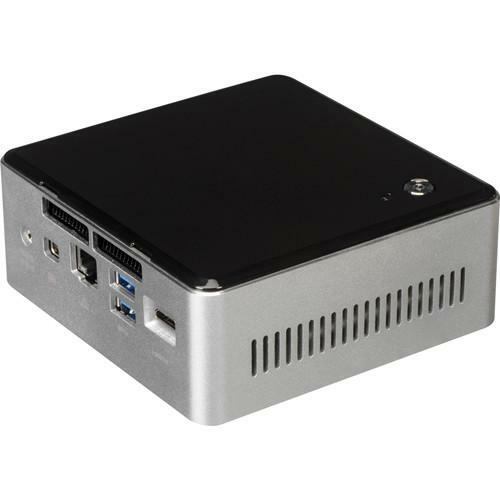 That’s why we and other Intel users keep a unique electronic library for Intel desktop computerss, where you can use our link to download the user manual for the Intel NUC5i5RYH Mini PC NUC Kit BOXNUC5I5RYH. 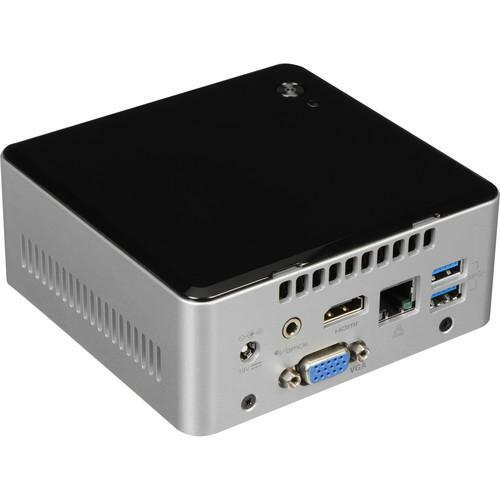 The user manual lists all of the functions of the Intel NUC5i5RYH Mini PC NUC Kit BOXNUC5I5RYH, all the basic and advanced features and tells you how to use the desktop computers. The manual also provides troubleshooting for common problems. Even greater detail is provided by the service manual, which is not typically shipped with the product, but which can often be downloaded from Intel service. If you want to help expand our database, you can upload a link to this website to download a user manual or service manual, ideally in .pdf format. 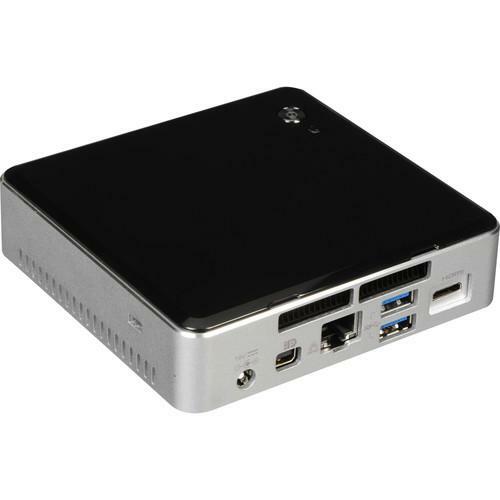 These pages are created by you – users of the Intel NUC5i5RYH Mini PC NUC Kit BOXNUC5I5RYH. User manuals are also available on the Intel website under Computers & Solutions - Desktops & Workstations - Desktop Computers.